The MMCRU - Remsen Elementary had a Storybook Character Pumpkin Patch in the library. 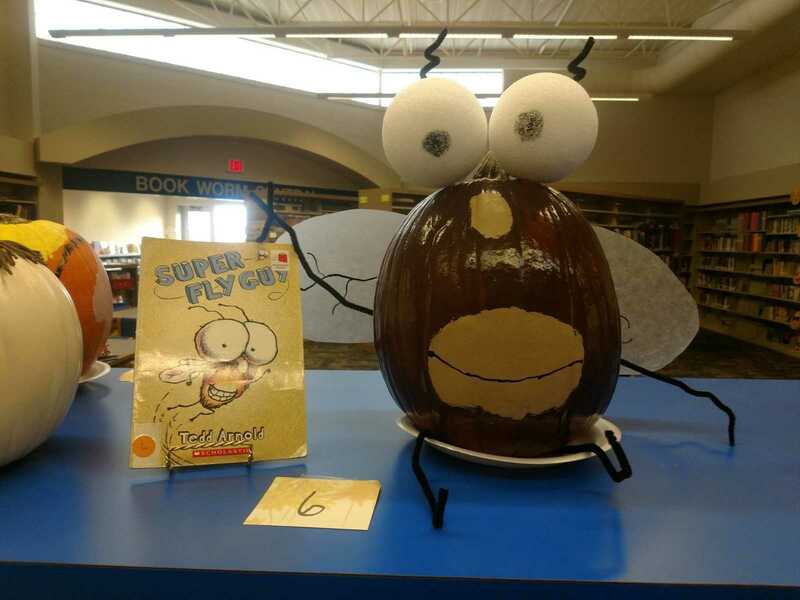 Students in grades K-4th could decorate a pumpkin to look like a storybook character. The MMCRU Middle School students voted for their favorite pumpkins. 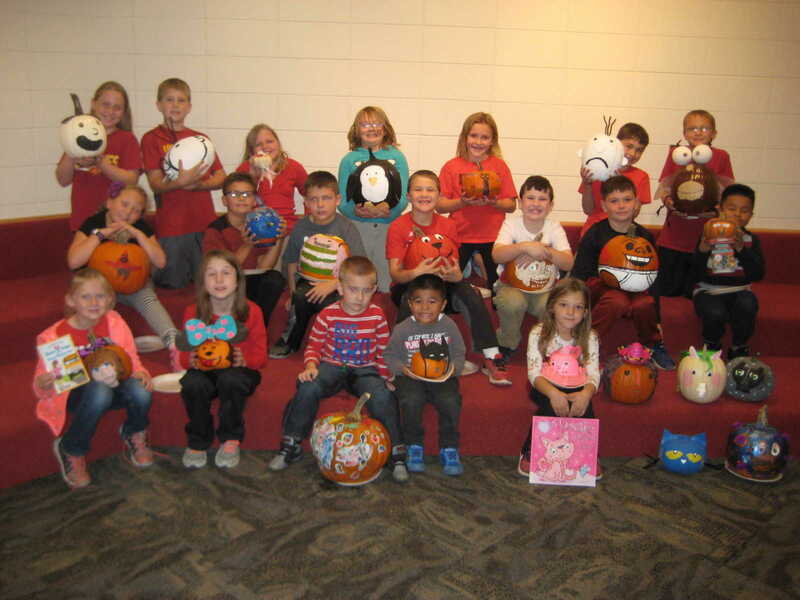 Students pictured above with their themed pumpkins include, Back row, from left: Lauren Galles (Diary of a Wimpy Kid), Max Schnepf (Diary of a Wimpy Kid), Faith Hengtgen (Santa), Jayden Lindgren (Mr. Popper's Penguin), Gracie Schroeder (Pete the Cat), Gavin Poeckes (Diary of a Wimpy Kid), and Karsen Galles (Fly Guy). Middle row, from left: Brea Nicks (Patrick), Ty Schuttpelz (Rainbow Fish), Caleb Wurth (Captain Underpants), Mick Schnepf (Clifford), Thomas McKinney (Ready Freddy), Ayden Miller (Captain Underpants), and Alexis Ocana-Granillo (Minecraft). Front row, from left: Mikayla Shay (Junie B. Jones), Taya Delperdang (Minnie Mouse), Joseph Price (PJ Masks), Christian Ocana-Granillo (Batman), and Amy Ahlers (Posey the Pink Cat). Not pictured: Bella Loutsch (Scarecrow Man), Natalie Poulsen (Goldilicious), Florie Dahl (Toothless), Bennett Poeckes (Pete the Cat), and Cooper McKinney (Sully). Karsen Galles with his "Fly Guy" pumpkin won first place for the Storybook Character Pumpkin contest. 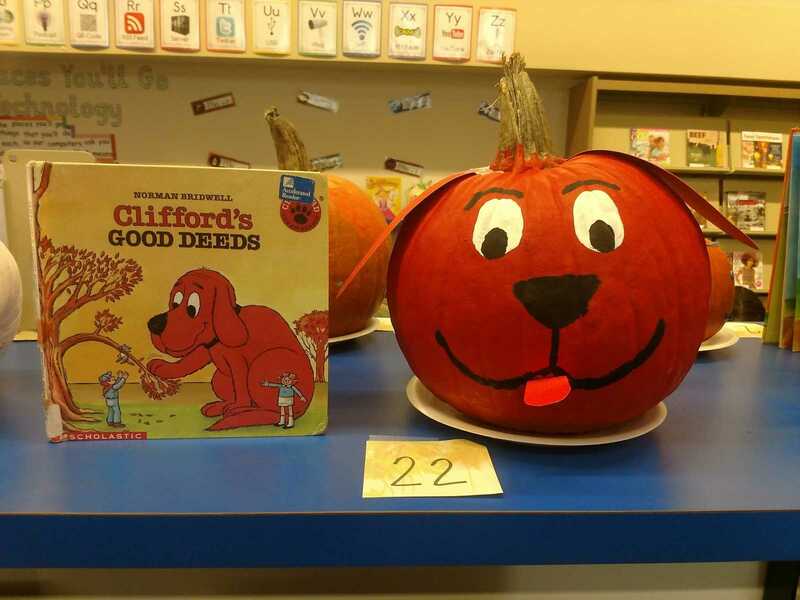 Mick Schnepf with his "Clifford the Big Red Dog"Â� pumpkin won second place. 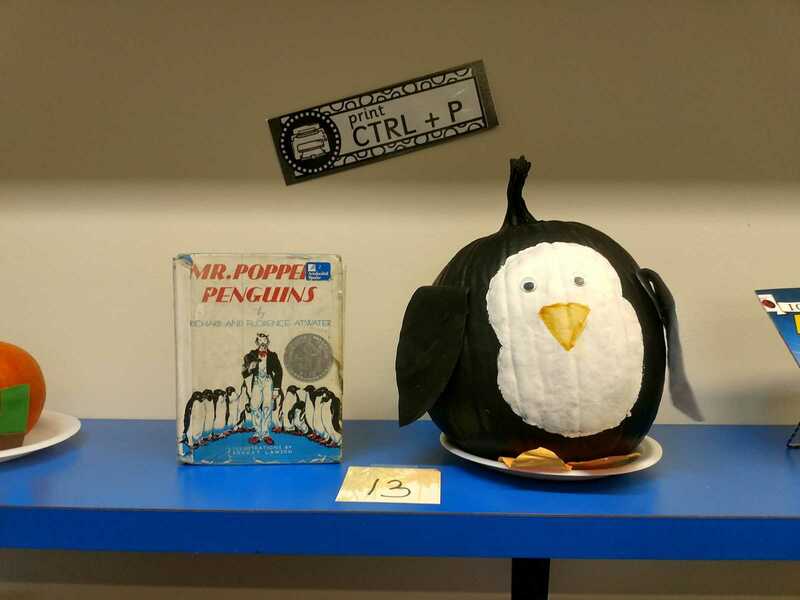 Third place went to Jayden Lindgren for her "Mr. Popper's Penguin"Â� pumpkin.